The unfortunate truth about having trees on your property is that every single tree is either an asset or a liability. Some trees can live in relative good health without ever being trimmed and only requiring minimal pruning. Other trees are in either in a position to cause property damage when they (inevitably) fall, or are in such poor health that it’s probably best to have them removed from the location. While this may seem harsh to the tree in question sometimes it’s the most beneficial option, for both you and the tree. Other times it is possible for smaller, younger saps to be growing so close to older trees that it can actually damage all the surrounding plant life. 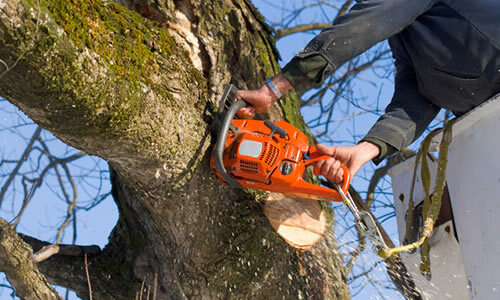 In these sorts of cases you will want professional tree removal Saint Louis, MO services. While it certainly is possible to come up with other solutions besides removal, sometimes it can end up costing as much to keep the tree, and there’s no guarantee that it won’t be removed later. Establishing cabling and bracing around the damaged or compromised tree can act in the same manner that braces align human teeth over the years. There’s even a way to add lightning protection to a tree, by installing a metal wire that runs down the length of the bark. Although it won’t guarantee that your tree doesn't get struck by lightning, it can help prevent any massive damage that may have followed the bolt going through the tree. Essentially the wiring acts as a conductor that help take the brunt of the force. In any case, please defer to the specialized arborists here at Arbor Tree Care for alternative solutions to tree removal in Saint Louis, MO.